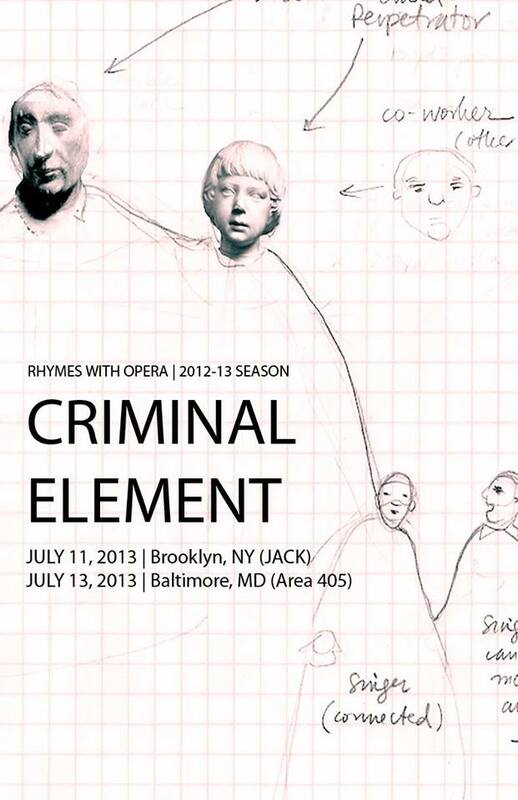 Rhymes With Opera, an ensemble dedicated to commissioning and producing new operas in Baltimore and New York City, brings their first-ever revival to Brooklyn’s JACK Space on July 11, 2013 at 7:30pm, and Baltimore’s Station North Area 405 on July 13, 2013 at 8pm. This production includes a fully staged performance of David Smooke’s Criminal Element, a work that RWO commissioned from Smooke in 2010, and is scored for three singers and a string quartet. Composer David Smooke calls Criminal Element a “non-opera” that was inspired by the story of outlaw French bank trader Jérôme Kerviel and his British counterpart Nicholas Leeson, told through a language invented by Smooke. Baltimore Sun critic Tim Smith described the 2011 concert version as “a highly creative, absorbing experience.” This new, fully staged production will exponentially increase the creativity quotient, incorporating the talents of several Baltimore artists. 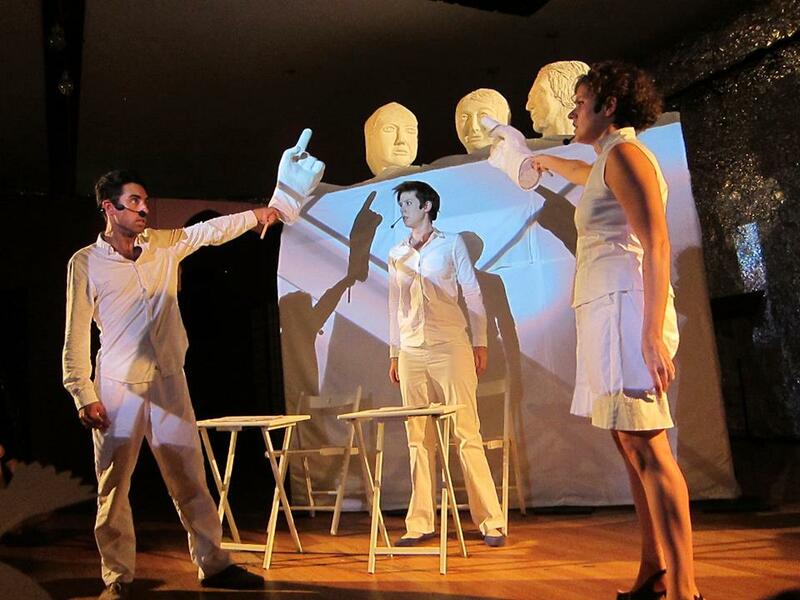 MICA faculty member Valeska Populoh is designing and co-directing the production, and is creating massive puppets that will tower over the singers as an integral scenic element throughout the work. Margaret Rorison of the Red Room Collective (video design) and David Crandall (lighting design and technical director) will join Populoh and Smooke on the production team. Rhymes With Opera’s trio of singers will be accompanied by a string quartet from Baltimore’s SONAR New Music Ensemble. In addition to Criminal Element, RWO will premiere twelve one-minute “signature” operas by Judah Adashi, Jenny Beck, Sidney Boquiren, Joshua Bornfield, Nomi Epstein, Alexandra Gardner, Tim Hansen, Andrew Histand, Mark Lackey, Anna Meadors, Rachel Peters, and Ashley Wang. 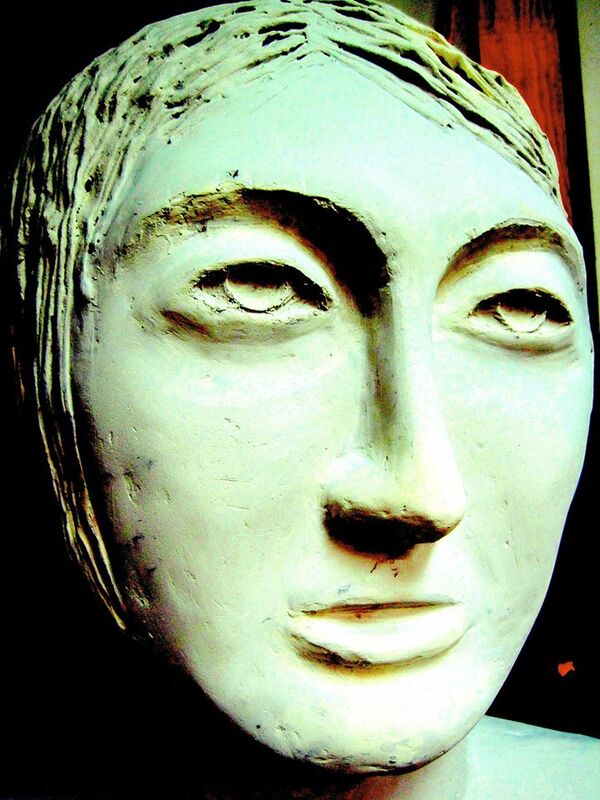 These brand-new operas were commissioned especially for this performance. Click here for tickets/info or on the link at the bottom of this page.